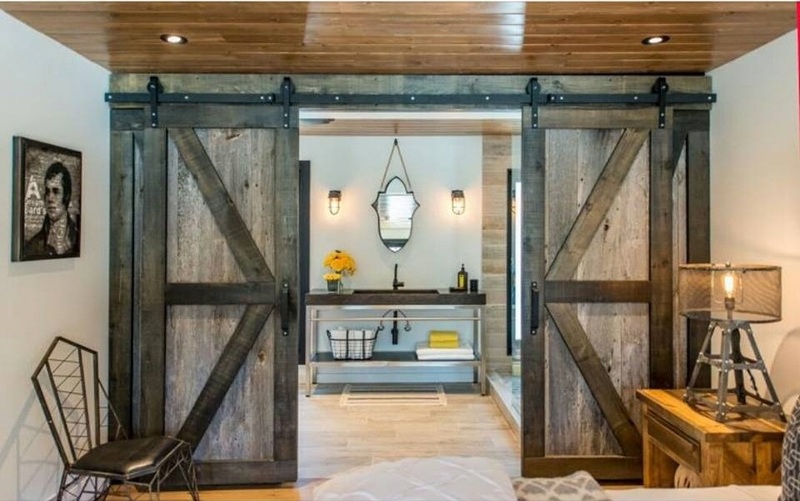 TORONTO BARN DOORS BY REBARN! We built this beautiful set of custom barn doors for The Cottage Network’s Cabin Pressure with Colin & Justin. You will see these doors featured on The Cottage Network for the next little while as the show repeats. Two doors are installed over top of two false doors behind. The look is fantastic! For more information about barn doors for your cottage, drop in and see us!